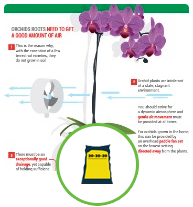 Why should we conserve orchids? Calypso bulbosa is a native orchid that maintains a fragile existence. Photographed in Golden, Colorado. This is a question frequently asked for many wild things when they are pitted against land development and other human-induced pressures. Why should we care if a particular species becomes extinct? 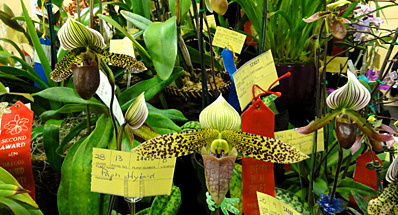 For many orchids, their pollinators remain unidentified. 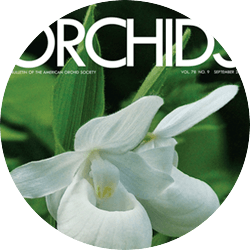 If an orchid species becomes extinct, is its pollinator so specialized that it will become extinct as well? And if so, what else does that pollinator do besides pollinate the now-extinct orchid, and how will other species be affected? If the pollinator is an insect, does its larva perform some other function different from that of the adult? Is the larva the primary food of some other species -- which performs another unique function? These questions may represent a hypothetical and over-simplified view of the effects of extinction, but the steady loss of species does affect the global ecosystem in ways not always evident until years later. The biological, material and cultural value of biological diversity conservation for present and future generations is an important reason for conserving it today. Diversity is a potential source for immense untapped material wealth in the form of food, Human cultures co-evolve with their environment, and biological diversity can be important for cultural identity throughout the world. The natural environment provides for many of the inspirational, aesthetic, spiritual and educational needs of people, of all cultures now and in the future. 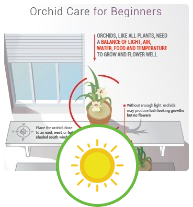 It is our responsibility to preserve the unique place of orchids in their habitats for our children and for our planet. 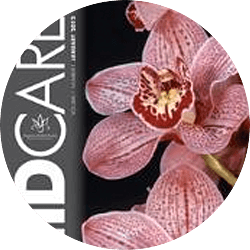 Do you or your local orchid society have a favorite native orchid? 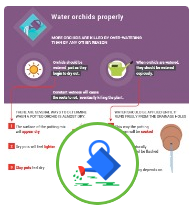 Are you aware of the destruction of a favorite orchid's habitat abroad? Then, support AOS conservation efforts! 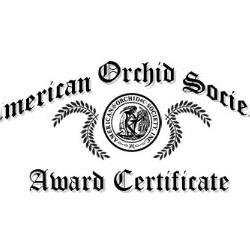 Individuals, societies and corporations are preserving a legacy of orchid knowledge by supporting the research and conservation programs of the AOS. All levels of support are greatly appreciated and are tax deductible to the extent provided by law. 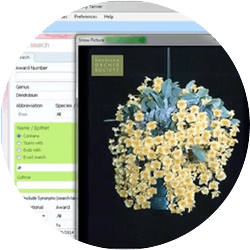 Please consider supporting our nonprofit organization's research and conservation programs.